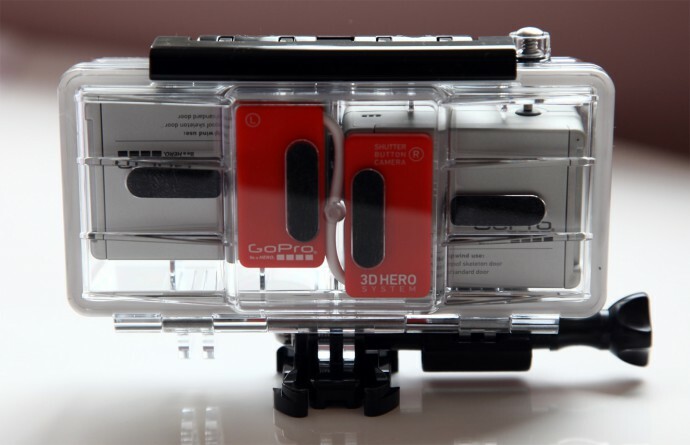 The orange adapter that connects both cameras in order to synchronize them comes with a very short cable that is only suitable for use with the small 35mm interaxial setup that the 3D Hero is originally intended for. 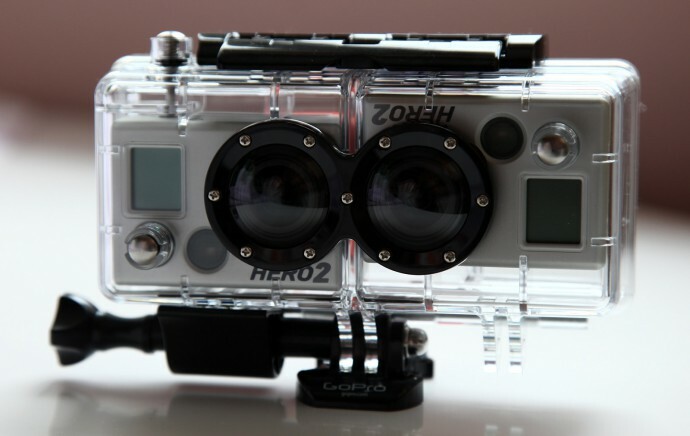 You can however solder a longer cable for a modified version with a variable interaxial distance that will also be using two separate cases for the cameras instead of the one provided with the 3D Hero. I’ll be getting into more detail about that very soon, as well as into experimenting in adding another slave camera in order to get a three camera setup with the idea to maybe further extend this into an array of cameras. The Enhanced Dimensions 3D Stereo Repair Kit for Adobe After Effects is a 3D tool you can use to fix the majority of 3D based problems when shooting stereoscopic footage. Thanks to this tool with a simple series of controls you can both fix rotation, scaling, horizontal and vertical misalignment whilst adjusting the overall convergence, scale and cropping of the final output image. With the 3D Stereo Repair Kit you get a real-time anaglyph 3D preview and can also easily output in some of the more common 3D formats such as Side by Side 3D for YouTube, Stacked Above/Below 3D video and for Anaglyph with red-cyan color filters. The eD-3D Stereoscopic 3D Video Repair Kit for After Effects CS4 and CS is now available for a launch offer price of only $2.99 USD as an immediate download. The 3D television production studio and 3D TV channel 3net along with its partners Discovery, Sony and IMAX have released a comprehensive manual for stereoscopic 3D pre-production, 3D workflows, 3D post-processing and delivery of high-quality 3D television programs. The 3D Production Guide features stereoscopic expertise from the top producers and technical advisors from the channel and its partners and the good thing is that it has been made freely available for everyone interested in it in the form of a PDF file. The 50-page illustrated manual includes detailed information garnered from the combined 50 years of experience in the area of 3D from those who contributed to its creation. The guide outlines in detail all of the facets involved in creating top-quality 3D content for television, from initial workflow planning, to production, post production, stereographic correction and final delivery. 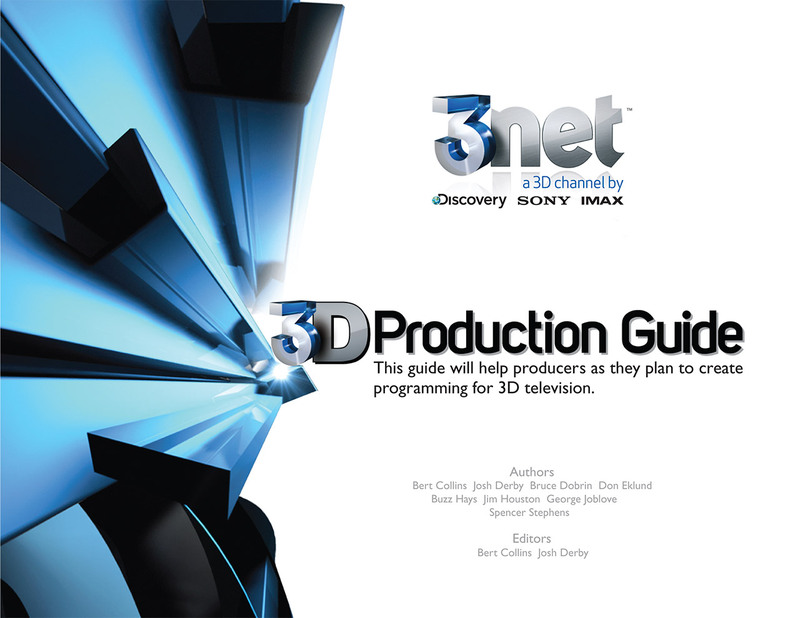 The 3D Production Guide is a document outlining current best practices in the area of 3D production for television. It is the result of extensive contributions from the 3D experts of 3net’s partner companies Discovery Communications, Sony Corporation and IMAX Corporation. The guide was authored by Bert Collins, Josh Derby, Bruce Dorbin, Don Ecklund, Buzz Hays, Jim Houston, George Joblove and Spencer Stephens, with Bert Collins and Josh Derby serving as editors. It will be constantly updated and amended as the dynamics of 3D television production continue to evolve. And while this manual has been developed for 3D TV production most of the things found in it can be helpful and useful for any stereoscopic 3D enthusiast or professional, so it is something definitely worth reading.